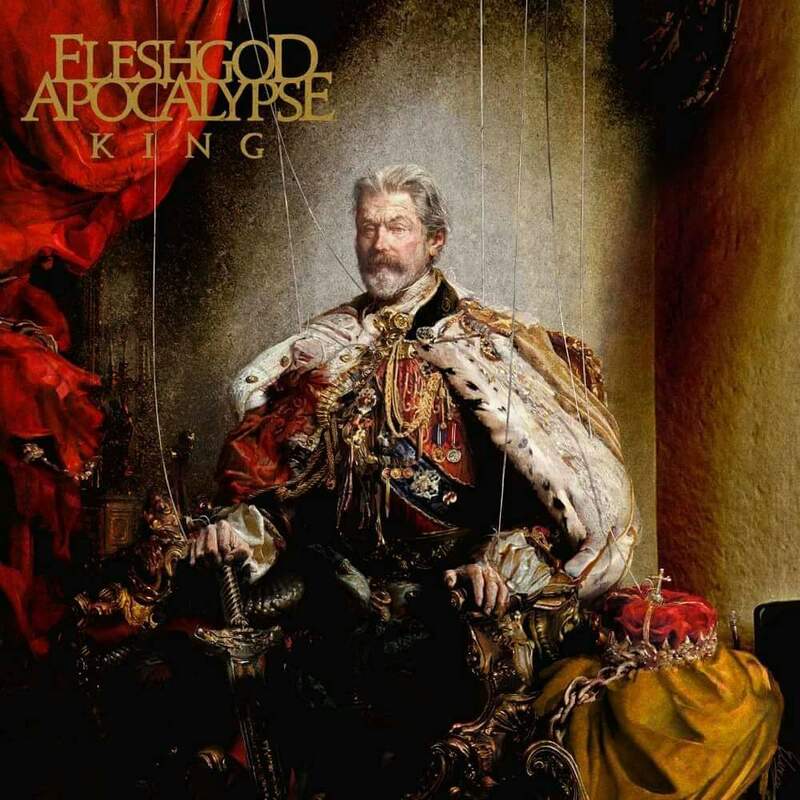 Italians Fleshgod Apocalypse they have released their fourth full length, "King" and as you can imagine they still in the same vein, composing some of the most devastating symphonic technical death metal over the world, in less than a decade, this band has earned a place in the acceptance of a countless followers, why? 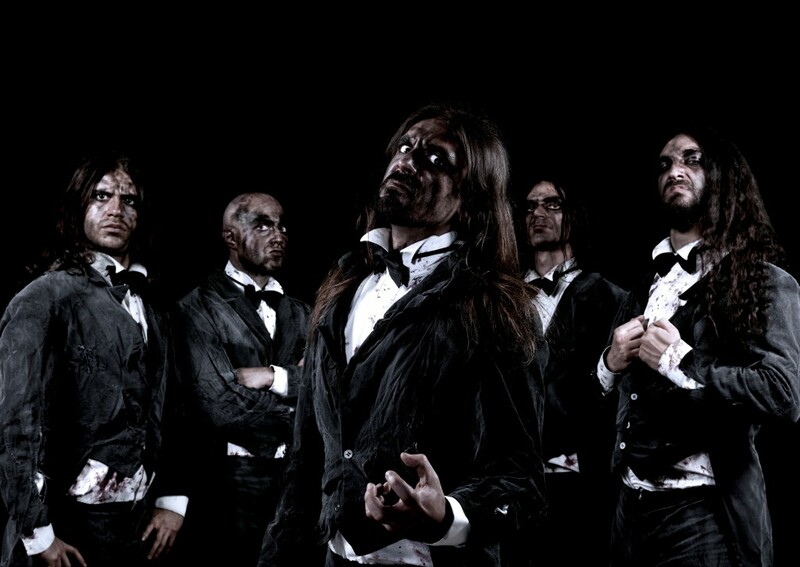 well the answer falls directly in their sumptuous discography, their debut album "Oracles" released in 2009, set the ground for Fleshgod Apocalypse for their innovative blend of Neo-classical style and relentless death metal, later on in 2011 came back again with "Agony" having a better production than their previous album and is here where they are fearless to integrate more orchestral elements, in 2013 "Labyrinth" sees the daylight with a more cohesive songwriting, dynamic and brutal, with all these extenuating it is easy to distinguish Fleshgod Apocalypse among others. Their newest record as well as its predecessors possesses their distinctive trademark, "King" is another conceptual album, and tells the story of a king who has many problems in dealing with his court, they try to gain control on him and take power, but this king remains positive while he is trying to keep the sovereign together, he tries to do things with integrity and tries to keep his values, this story sounds very familiar if we transfer to our modern life. "Marche Royale" masterfully opens the album with a powerful orchestration, is a little preamble for what's heading to you, followed by "In Aeternum" captures an overwhelming wall of sound composed by symphonic elements and crucial metal parts to contrast, while the clean vocals are piercing yours ears and without mercy, gears up to the crushing "Healing Through War" the guitar riff here are more abundant and heavy, and the wind ensemble subtly slay the air, "The Fool" is one of the most extreme technical cuts incorporating piano structures and choirs, with complex and aggressive drumming, next is "Cold as Perfection" is daring, slower pace with dark ambience and clean female vocals resounds in the incomprehensive chaos, to the end an outstanding guitar solo which eventually get lost in the spiral of chaos followed by "Mitra". The beauty of the inconceivable comes with "Paramour (Die Leidenschaft bringt Leiden)" a classical piano composition with mesmerizing female vocals, prepares for "And the Vulture Beholds" and "Gravity" delivers the most fastest riffage and delves once again in an orderly chaos with exceptional string arrangements, "A Million Deaths" is bombastic, opulent and heavier riff falls into a ungovernable frenzy, the band emphasize in more piano melodies rather than complex brutality, "Syphilis" approaches us to the end with a nightmarish vibe, melodramatic and somber crushing riff brings the subtle agony when least expected, the last track is "King" is a piano instrumental track memorable as well passionate to end tragically. The Italian pioneers of extreme Symphonic Technical Death metal, recorded their album in 16th Cellar Studios and Kick Recording Studio in Rome Italy, the Mixing and mastering at Fascination Street Studio in Örebro, Sweden by Jens Borgen, at the end was a very addictive and theatrical dose of extreme metal, robust in symphonic elements well balanced with outrageous metal parts, vocally impressive, "King" is an album that worth the time to listen and enjoy.